Neither the weather nor his rivals could make any attempt to rain on Sebastian Vettel’s parade at Monza on Sunday afternoon, as he took a storming win from pole position that was never in any doubt after the lights went out. 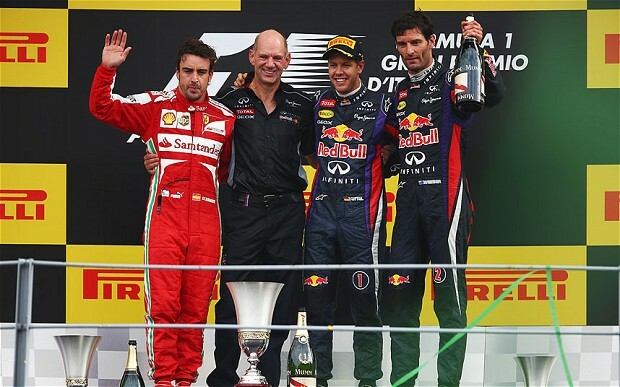 It marked Vettel’s third win at the fabled circuit, and his sixth win of the season. Fernando Alonso gave the “tifosi” something to cheer about as he wrung the neck of his Ferrari to claim second spot on the podium ahead of Mark Webber, who managed to break his Monza jinx and finally take a podium finish there in what was his final European race in F1. While there was never much doubt that Vettel and Red Bull were the combination to beat over the weekend, there were plenty of surprises behind the German in qualifying. The star of qualifying was his fellow countryman Nico Hulkenberg, who put in a perfect lap in his Sauber to claim third place on the grid. Right behind him in the timesheets, much to the chagrin of Fernando Alonso, was Felipe Massa, who put in a stellar lap for fourth to start ahead of Alonso in fifth. Ferrari had planned for Massa to let Alonso run in his slipstream in order to maximise Alonso’s speed on Monza’s straights, but the plan went awry when Massa was too far ahead on-track for Alonso to take advantage. Alonso voiced his frustration over the radio, saying “ So we’re going to have to let him go, you’re really geniuses guys”, but this was blown out of proportion by people thinking he was referring to Massa when he had actually been referring to having to let Nico Rosberg go by on a quick lap. 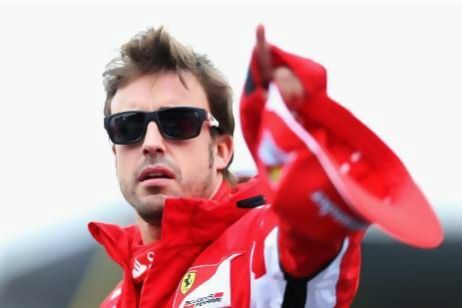 Amid rising speculation that Alonso was thinking he was above the team, criticizing the car after the Hungarian Grand Prix and subsequently being reprimanded by Ferrari chairman Luca Di Montezemelo for those comments, the radio message was taken out of context and was misleading onlookers as to what was actually meant. Nevertheless Alonso had to line up in fifth behind Massa. The other shock was the surprise elimination of Lewis Hamilton in Q2, the Briton having run wide into the gravel on the exit of Parabolica on his first Q2 run, and then being impeded by Adrian Sutil’s Force India car on his final run. Sutil was handed a three-place grid penalty for his actions, but Hamilton was still coming to terms with failing to make it into Q3 for the first time since Malaysia 2010, and a twelfth place grid slot for Sunday. He was very much downcast in post-session interviews, apologizing to the team and admitting he had “driven like an idiot”. Intriguingly, neither Lotus made it through to Q3, their worst qualifying of the year. They sandwiched Hamilton on the grid, with Kimi Raikkonen in P11 and Romain Grosjean in P13. Sunday arrived with the fear of rain in the air, but a shower half an hour before the race wasn’t enough for teams to have to start on the intermediate tyre, and all lined up on the grid with slick tyres. Vettel made a clean start from pole position, but blotted his copybook with a massive brake lock-up under braking for turn 1, flatspotting his right-front tyre and causing a vibration in the car for the remainder of his first stint until he made his only pitstop of the race on lap 23. Behind him Massa made a good start to jump Hulkenberg and Webber for second, while Kimi Raikkonen messed up his braking and hit the back of Sergio Perez, breaking his front wing and necessitating a pit stop at the end of lap 1 for a replacement. 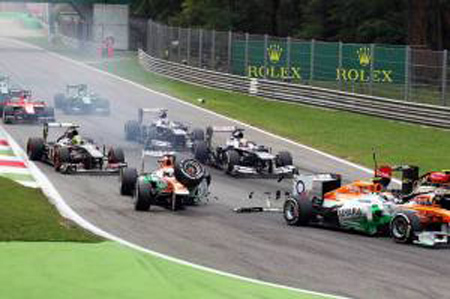 It was a nightmare start for Force India’s Paul Di Resta, who got his braking all wrong for the second chicane, and ploughed into the back of Romain Grosjean’s Lotus. The Frenchman was able to continue unaffected, while the front-left suspension on the Force India was destroyed, forcing Di Resta into his second retirement from as many races. The Scot admitted his error, and the stewards deemed he had tried to avoid the incident, so he received just a reprimand and no penalty for the incident. As Vettel began to pull away into the distance, Alonso caught up with Webber and made an impressive move around the outside of Webber at the second chicane on lap 3 to claim third. Although minor contact was made between the two, causing slight damage to the front wing on the Red Bull, both continued without any further problems. Problems mounted however for Lewis Hamilton, with a radio fault on his Mercedes meaning he was unable to communicate with the team. A slow puncture in his first stint meant he was forced to make an extra pitstop, though this meant he had fresher tyres than those around him towards the end of the race, and a late race charge saw him climb from twelfth to ninth and also claim the fastest lap of the race. He momentarily claimed eighth place from Romain Grosjean on the last lap, but in doing so he cut the second chicane and was forced to give the place back. Grosjean’s team mate Raikkonen was squabbling with Hamilton towards the latter part of the race, a battle Hamilton ultimately won, though the Finn’s task of damage limitation couldn’t pay off after his first lap pitstop, and finished behind Mclaren’s Jenson Button, who claimed the solitary point for tenth on the week of the team’s 50th anniversary. Daniel Ricciardo put in a solid performance for Toro Rosso to finish seventh, as he attempted to vindicate the decision to promote him to the senior Red Bull team. Nico Hulkenberg came out on top of a hard-fought battle with Nico Rosberg to claim a hugely impressive fifth place for Sauber, who have struggled in the midfield battle all season with a mediocre car. As the European part of the season draws to a close, it is fairly certain that the combination of Sebastian Vettel and Red Bull have a firm grip on the drivers and constructors championships, and that it would take a string of DNFs to put their title charge in jeopardy. Having admitted that they didn’t expect to be so strong at Monza, it is ominous that having done so well there and going into a series of races that Vettel won last season that the title is out of reach for anyone else. Vettel now leads the drivers championship with 222 points to Fernando Alonso’s 169, with Lewis Hamilton a further 28 points behind on 141. Red Bull now lead Ferrari, who jump ahead of Mercedes in the constructors battle, by 104 points, 352 to 248. The Bulls are stampeding their opposition at present, and it seems to be a foregone conclusion that they will claim a fourth consecutive drivers and constructors championship double before the final round of the season in Brazil. 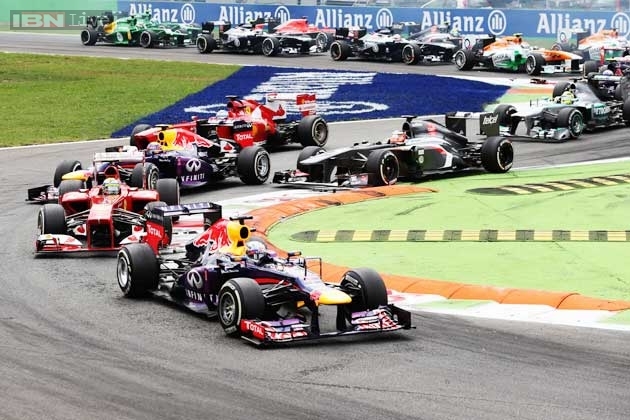 The new 2014 engine and aero regulations expected to shuffle the pecking order on the grid can’t arrive quick enough, as we stare down the barrel of yet another German-dominated era of Formula 1.